This continues our weekly roundups of the Fall and Winter Leagues, highlighting performances from players in the Red Sox organization. Coverage will continue every Monday into January. For the full list of Red Sox prospects participating in these leagues, check out our Fall & Winter Leagues page, which will be updated continuously through January. This week's roundup covers the period of October 22-28. 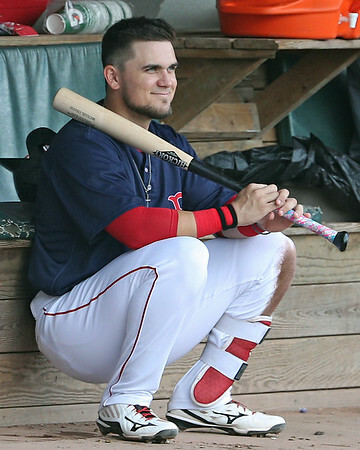 Top prospect Michael Chavis (pictured) continues to match outstanding tools and production with a frustrating propensity to miss stretches of playing time, whether due to injury or his 80-game suspension for a positive PED test earlier this year. Chavis was hoping to make up for missed time with some reps in the Arizona Fall League, but a sore wrist kept him off the field and he was withdrawn from the Mesa roster last week. Right-handed pitcher Teddy Stankiewicz was also withdrawn from the roster. Stankiewicz appeared in just one game for the Solar Sox, allowing three runs in two innings on October 10. In other news of note from the fall circuit, mercurial slugger Bobby Dalbec and left-hander Darwinzon Hernandez will participate in Saturday's Fall Stars Game. MLB Network will broadcast the game live at 8 p.m. ET, and MLB.com will stream the contest live. This is the first in our series of weekly roundups of the Fall/Winter Leagues. Coverage will continue every Monday into January. For the full list of Red Sox prospects participating in these leagues, check out our Fall & Winter Leagues page, which will be updated continuously through January. This week's roundup covers the period of October 9-21. The Red Sox have eight players listed on the Mesa Solar Sox roster, though only seven have appeared in games so far. Top prospect Michael Chavis has yet to debut, with no official word from the team as to why. The top performer has been Darwinzon Hernandez (pictured, right), who currently leads the league in strikeouts while pitching in only six innings. His 15 strikeouts and two walks show how dominant his stuff can be, and he has also allowed only one earned run on four hits. FORT MYERS, Fla -- 2017 sixth-round pick Zach Schellenger has had his injury issues over the last few seasons, but he finally looks healthy and is showing the potential that impressed many scouts in the Cape Cod League in 2016. After missing a significant amount of the season due at least in part to shoulder inflammation, Schellenger was very good with Greenville at the end of the year striking out 17 hitters and walking only 3 over 10 1/3 innings. Schellenger has an ideal pitcher’s frame, listed at 6-foot-5, 210 pounds. He has no remaining projection and his delivery has effort. He throws from a three-quarters arm slot with a stiff delivery and a lot of moving parts. His fastball sat 93-95 mph over his inning of work and showed hard boring action in on right-handers. He has an average command profile and reportedly has shown more velocity in the past as an amateur, but it is yet to be seen if that will ever come back. Even at 93-95, Schellenger can be effective and the pitch projects as a plus offering. 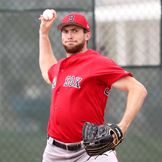 FORT MYERS, Fla -- The initial returns on the Red Sox 2018 draft class were that the organization went heavy on hitters and potential bullpen arms. Chase Shugart, the team’s 12th-round pick out of the University of Texas, was seen as one of these potential bullpen arms in part because of his frame (listed at 5-foot-10, 180 pounds). Despite his only making four starts after a long delay before his debut after his signing, I have now seen him twice and believe he has a chance to be a potential starting pitcher. In this Instructs start, he was very effective, throwing two perfect innings and striking out four. Shugart is a plus athlete and doesn’t have any projection remaining, but his arm is loose and he repeats his delivery well. He throws from a high-three quarters arm slot and shows strong pitchability and feel on the mound. FORT MYERS, Fla - Left-hander Yoan Aybar was once seen as a raw but intriguing center field prospect. 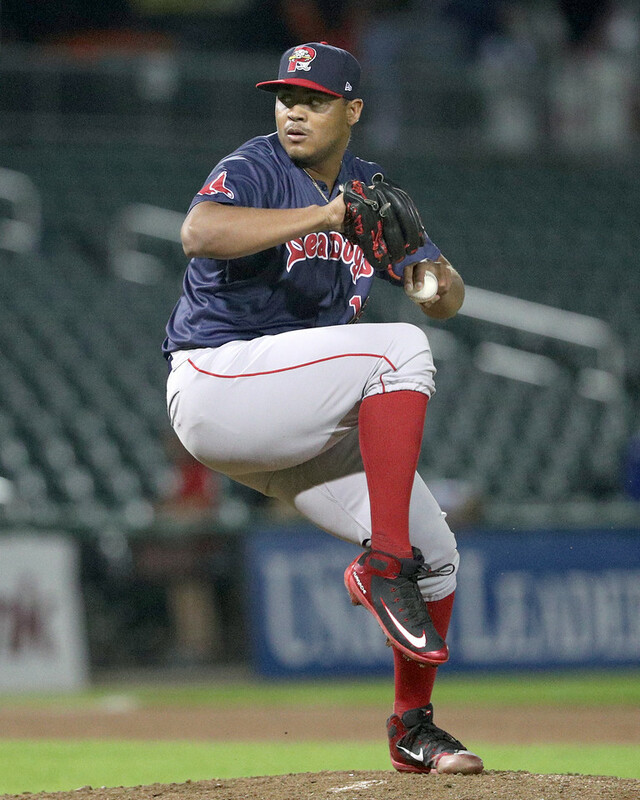 But after signing for $450,000 in 2013 and four seasons in which he failed to distinguish himself at the plate, Aybar moved to the mound in Spring Training 2018 and very quickly has established himself as one of the most intriguing bullpen arms in the Red Sox system. In his mound debut split between the Rookie-level Gulf Coast League and a couple appearances with short-season A Lowell, he posted a 4.13 ERA with 27 strikeouts and 14 walks in 28 1/3 innings. While the line may not stand out, it was impressive for a young player who had spent four years as an outfielder, and he had some buzz coming into my Instructs look at him. Aybar is still on the skinny side and doesn’t look like he will add much size. He is listed at 6-foot-2, 173 pounds, which looks accurate, and he has retained the athleticism he showed in the outfield. Aybar throws from a three-quarters arm slot with a simple delivery that has some effort. 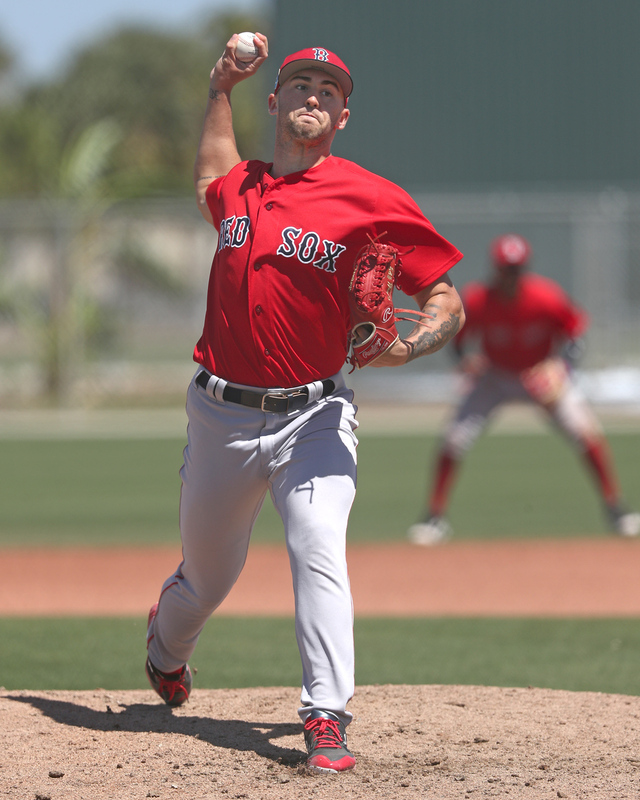 SoxProspects.com's Ian Cundall was down at Instructs last week and his first piece from the weekend, a Scouting Scratch on Alex Scherff (pictured), was released on Thursday, citing an above-average curveball as part of an improved look at the right-hander from Texas.